Give your Android mobile devices total protection from viruses, loss, theft, and privacy with Bitdefender Mobile Security! 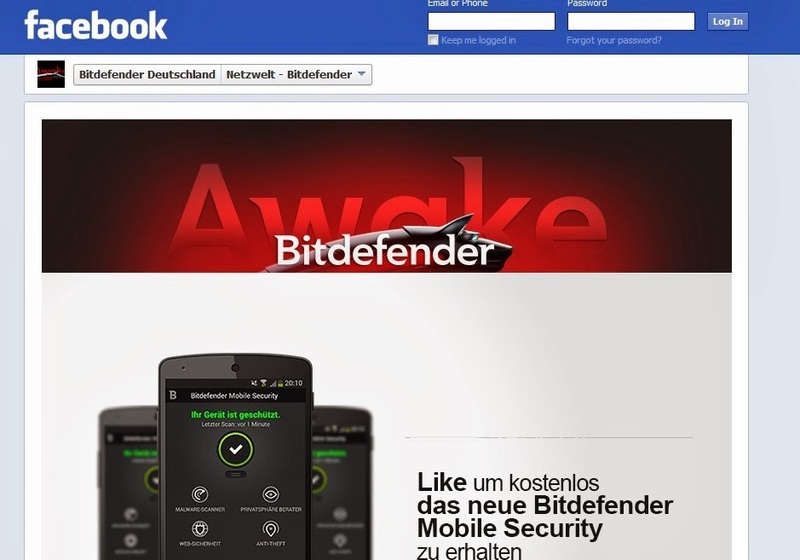 PROTECT YOUR ANDROID WITH BITDEFENDER MOBILE SECURITY & ANTIVIRUS FOR 1 YEAR. Android users can get 1-year license of Antivirus and Web Protection on their mobile devices, absolutely free from Bitdefender. 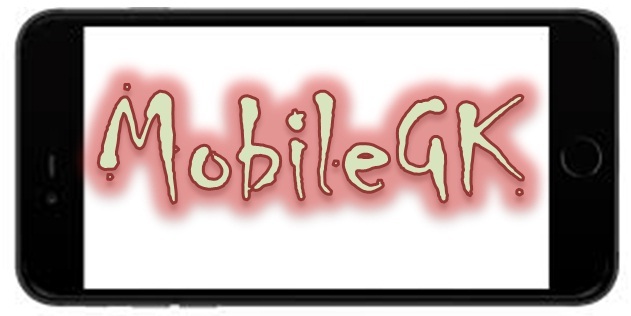 It will opens the above page, sign in with your facebook account. Then click on like button( page top right side). Enter your email id and click green bar. 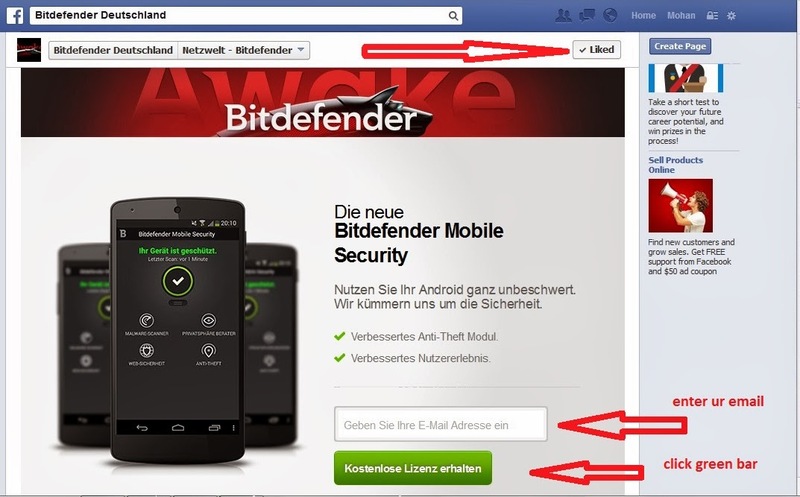 You will receive 1 Year licence key for Bitdefender antivirus to your email id. 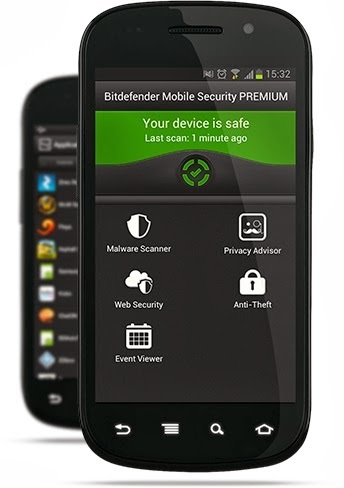 Then download bitdefender antivirus to your android mobile by click the link below and enjoy 1 year subscription. I like your blog post. This blog have very informative and knowledgeable information. Keep it up sharing..